Get My $30 Free Now! Offering real money gaming for the better part of 16 years, PokerStars continues its reign as the worldwide heavyweight champion of online poker. The site’s path into the legal New Jersey online gambling market, however, has not been an easy one. On April 15, 2011, the US Department of Justice (DoJ) shut down PokerStars on charges of bank fraud and money laundering. Authorities claimed that by continuing to offer real-money online poker in the country, the site was in violation of the Unlawful Internet Gambling Enforcement Act (UIGEA). PokerStars eventually reached a $731 million settlement with the DOJ and pulled out of the US market entirely. Part of that money would go towards purchasing Full Tilt Poker (FTP), a rival which had mismanaged its funds and no longer had the cash to reimburse its players. PokerStars achieved hero status in the poker world when it intervened to make FTP’s customers whole. 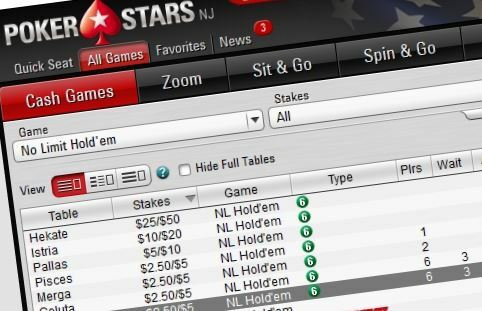 When New Jersey regulated iGaming in 2013, PokerStars was eager to bring its product back to the US, this time in completely legal capacity. To acquire the necessary gaming license, the site first partnered with the now-defunct Atlantic Club Casino, but was burned after the property used a loophole to make off with its initial $10 million investment. Down but not out, PokerStars quickly exercise its Plan B and formed a partnership with Resorts. Again, the site was denied a gaming license, mostly due to the fact that its founder, Isai Scheinberg, was still in control of the company while also under indictment by the US authorities. In 2014 the site was sold to Amaya Gaming, and was subsequently given the green light to operate in NJ by the Division of Gaming Enforcement. PokerStars finally launched its Garden State site in March 2016. Create a PokerStars NJ account using the links on this page, or the bonus code below, and get $30 absolutely free. When you make your first real-money deposit, you’ll receive an additional bonus of 100% of the deposit amount, up to $600. PokerStars allows you to make up to three deposits in 60 days (up to a total of $600) which count towards your 100% deposit bonus offer. That means that if you only deposit $200 initially, for example, you could go back and make two more deposits in order to take advantage of the full $600 bonus. To unlock your bonus money, you’ll need to earn VPPs by playing real-money cash games and tournaments. 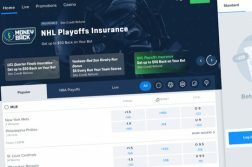 The bonus is released in increments of $10 at a rate of 100 VPPs per increment, which works out to a stellar rakeback rate of approximately 55% for most games. PokerStars NJ software is as good as it gets in the industry. Known as PokerStars 7, the software client features a sleek and modern design, intuitive UI, and a robust set of features and options. Compared with its NJ competitors, PokerStars’ offering is light years ahead and will likely stay that way for the foreseeable future. Feature-rich yet uncluttered, the lobby is impressive both aesthetically and in terms of practicality. Take advantage of the lobby’s powerful filtering system to quickly find the game type and stake that suits your level, or get into the action even faster using shortcuts. You can also set up Home Games and play with friends using the software’s customizable features to create your own perfect format. In my view, the most exciting aspect of the entire PokerStars NJ experience is the mobile app. Overall, the app is polished, responsive and perfectly designed to fit on smaller screens. Features like Quick Seating and Play Now will have you seeing flops, turns and rivers with one click. The ability to deposit and withdrawal on the go with the mobile cashier is a welcome plus as well. You can play Spin & Go’s, cash games, tournaments and even Zoom tables, all from your favorite iOS or Android device. Of course, we’d be remiss if we didn’t mention the single most impressive feature in all of New Jersey online poker: PokerStars NJ mobile multi-tabling. Forget flying cars, the future is now and it’s on display in this elegant feature. The PokerStars NJ superb UI lets you know which cards you hold at each table with visual and audio notifications, and alerts you when it’s your turn to act. Seamlessly switch tables with the touch of a finger or let the software automatically switch you to Table 2 after acting on Table 1. What’s more, customizable preset buttons simplify betting, minimizing the time needed to make your bets in the heat of action. 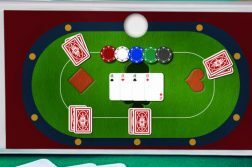 Playing three tables is a bit more hectic, but any seasoned multi-tabling online poker player should be able to accomplish it without too much difficulty. The multi-tabling feature alone puts the app head, shoulders, and torso above the competition. During the day, PokerStars NJ caters to the low-stakes crowd with small buy-in tournaments featuring guarantees. The promise of guarantees on these modestly priced tourneys increases the likelihood that these games don’t get canceled due to lack of interest. Turbos, Six Max, and Hyper Turbo’s dot the landscape with buy-ins ranging from $0.10 to about $30. As site traffic increases at night, the stakes increase a bit as well. The site’s nightly $10,000 guarantee with a $100 entry is currently the biggest daily attraction, with a $45k guarantee the highlight of the Sunday Majors schedule. If you prefer playing cash, you’ll be happy to know that PokerStars NJ has as much 24/7 cash-game action as any of its Garden State competitors. And with blinds starting at $0.01/$0.02, you won’t have to break the bank to enjoy some heart pounding poker action. Spin & Go’s are essentially Hyper Turbo, three-handed versions of normal Sit & Go’s, and have entry fees from $1 to $25. At the start of each game, a random draw determines the prize pool, giving the winner a chance to win 2X to 1,000X their initial buy-in. The allure of winning a huge prize for a tiny entry fee coupled with the lightning fast pace of action are the main draws of the format. In fact, the demand for the game is so great that the site decided to raise its $10 buy-in cap to a max of $25. Stars had a promotion running in which you can win $100,000 off of a humble $10 Spin & Go. James Piccolo of Bergen County did just that in early 2017. The chances of drawing that monstrous prize pool are slim, but the dream of a six-figure score is enough motivation for most. Zoom tables, PokerStars’ fast fold variant, are also available in New Jersey. In this format, instead of going up against a fixed set of players on a single table, you play as part of a large pool. When you fold a hand, you are whisked to a new table where you almost instantly receive a new one. You can even choose the “Fast Fold” option, which allows you to move onto the next hand before it’s even your turn to act. Zoom allows for players to play many more hands in a short period of time than they could in a traditional poker game, upping the action and the adrenaline level significantly. Though largely an afterthought, PokerStars also offers a selection of casino games for those moments when one needs a brief break from poker. Currently the site hosts 160 games, 140 of which are slots and the rest a mixture of table games and video poker. It’s by far the smallest selection when compared to any online casino in the state (barring experimental forays by sportsbooks), but more than adequate considering it is not the purpose of an online poker room. Despite entering the NJ market a good 2.5 years after its competitors, PokerStars NJ is outpacing both WSOP NJ/888 Poker NJ and Borgata/Party/playMGM on the cash game front. The site averages roughly 100 cash game players, compared to 85 for WSOP/888 and 80 for Borgata affiliated sites. Tournament fields at Stars have remained steady, with almost all nightly events meeting their guarantees. We say “almost” because even with the site’s stellar reputation and brand equity, it hasn’t all been smooth sailing for the online poker powerhouse. Upon entering the market the site ran a nightly flagship $100 tournament with a $10,000 guaranteed prize pool, but has since had to roll it back to $8,000 on Friday and Saturday nights in order to avoid overlays. PokerStars NJ offers competitive rake pricing, and boasts the best value in the state for lower/mid-stakes players. In total, the site’s rake percentage and rake caps take less money per pot than its competitors for smaller stakes; at higher levels, they come in a close second to WSOP. At PokerStars NJ, you’ll earn VIP points (VPPs) when you play, which contribute to your progress in completing Steps. Complete Steps to unlock new VIP statuses, receive higher rakeback and earn StarsCoin. PokerStars’ 8% rakeback at the BronzeStar status level is the best initial rakeback rate in the entire state. What’s more, compared with the highest statuses of its competitors, the site’s 28% Supernova rakeback offer is by far the easiest to reach. WSOP/888 and Borgata/party offer slightly better rakeback percentages, but require a level of play that is virtually impossible to achieve. You can check your progress and see how many more VPPs are needed to unlock the next Step right at the table. Earned StarsCoin can be spent on items in the VIP store, tournament entries, or traded in for cash, amongst other things. PokerStars NJ works hard to bring more amateur players to the poker tables with frequent and innovative promotions. These are complemented by traditional reload bonuses which are popular with multi-tabling grinders. PokerStars is known for hosting a variety of one-off promotions, such as the CashMatch Challenge and CardHunt. Both of these reward players with randomized prizes for completing relatively simplistic daily challenges. Prizes run the gamut from the small ($1) to the gigantic ($1,000 or more). In addition, the site hosts an annual month-long Christmas Celebration that is a composite of all its one-one promos. Promos that award All-In Shootout tickets are also fairly common on the site. Tournament players can win extra cash by earning Tournament Leaderboard (TLB) points for finishing in the top 15% of a tournament. Each month, your best 20 points results are tallied up and compared against all tournament players on the site. The top 60 finishers split T$7,500 tournament dollars, with first prize receiving T$1,500. Tournament dollars can be used to buy-into any PokerStars NJ online tournament. PokerStars offers its New Jersey players a scaled down version of its high-profile Championship of Online Poker (COOP) worldwide tournament series with the New Jersey Championship of Online Poker (NJCOOP) and New Jersey Spring Championship of Online Poker (NJSCOOP). Featuring 43 events with $1.2 million in guaranteed prizes, the 2016 NJCOOP was a big success. 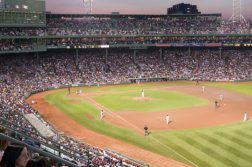 The series was well attended, with 98% of the events meeting their guarantees, and oftentimes exceeding them by a large margin. The $500 buy-in $200,000 Main Event was just one entry short of meeting its own guarantee. The event replicated its success in 2017, easily surpassing its $1.2 million guarantee, and expanding to 46 events. The 2017 NJSCOOP, the first Spring series on PokerStars in the Garden State, featured 70 events and $1.2 million in guarantees. The series was popular, with most events exceeding their guarantees, and was generally considered a success. PokerStars has already held two live festivals at its partner hotel, Resorts, blending the online/live experience by offering mini golf, basketball and pinball games for cash prizes. The first festival showcased some of the biggest names in poker, including Daniel Negreanu, Barry Greenstein, and Jason Somerville, while the second featured a live version of the Sunday Special ($100k GTD) and the first-ever MEGASTACK event. While attendance failed to hit expectations, those who did attend had a blast, by all accounts. As the site finds its footing in the nascent NJ market, players can expect more of these types of events and can expect them to improve with time. Much like every other NJ online poker company, contacting support by email can be hit or miss. Strangely, there is no way to actually call PokerStars NJ directly or to have a Live Chat with an agent. Instead, players can request a callback between the hours of 10 AM to 10 PM. If an urgent issue arises, you can try emailing, but don’t expect to have anything resolved immediately. One of the most respected and reputable online poker operators on the globe. Brings popular international gaming features to NJ. Multi-tabling on the mobile app is light years ahead of competitors. Software is feature-rich and simple to navigate – the best in the business. Top traffic in the state. Constantly innovating and working tirelessly to bring in new players (Spin & Go’s/Live Festival). Well executed tournament series (NJCOOP and NJSCOOP) have a little something for everyone. 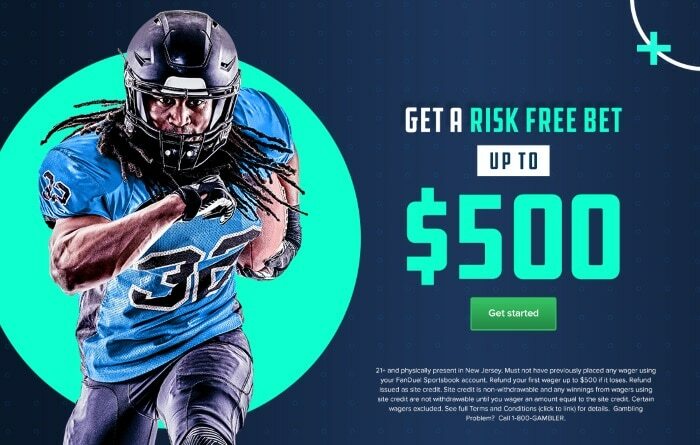 Claim My Free $30 Right Now! PokerStars’ entry into NJ can only mean good things for the state’s online poker landscape. With stellar software, a proven track record of success, aggressive marketing and innovative promotions, the site already ranks as one of the best. If competitors want to compete in the modest Garden State market, they must either step up their game or get left behind.